Fast shipping, easy to navigate website and excellent customer service. This company is by far my favorite MOM (mail order marijuana). I have had nothing but great service. The products are potent and never disappoint. Online dispensary serving all of Canada with the finest quality cannabis products. 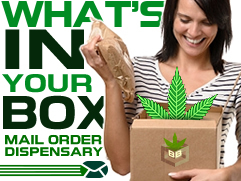 Budbox has monthly membership options that give you huge discounts on high quality cannabis items. Lemon Haze is a sativa with about 15% to 20% THC. Add a little pep in your step with some Lemon Haze. Good for pain and lack of energy. BC CBD is a high times award winner. This high CBD strain is perfect for pain day where you don't want that head high. Purple G Code is a strong and powerful sativa dominate hybrid. Useful For: Pain, insomnia, headaches, muscle spasms and relaxation. I really the uplifted and happy feeling I got from this bud. I felt like you really get the munchies with this strain so be prepared to snack. This bud is truly beautiful with it's bright and dark purples. Bubba Kush is an indica that is very good a relaxing your muscles. It's said that Bubba Kush is a cross of a OG Kush hybrid and an unknow indica strain. Strawberry Cough is a very potent sativa strain. Well known for its strawberry smell. Strawberry Cough is literally my favourite strain. These were super tasty! I really liked them but wish they were stronger. These vegan hemp trail mix bars are yummy. Tetra Tears Cherry oil is smooth when smoked or vaped. It's thick and potent. This oil has a good amount of CBD, for relief with chronic pain, head aches/migraines, back aches. The THC level is not too high, its a good balance with the CBD. Cherry oil is one of the most common forms of cannabis. Cherry oil can be used for its powerful medicinal effects and healing effects. Tetra tears cherry oil made with 99.9% isopropanol not butane like BHO. Cherry oil comes out with a golden / reddish tint giving it the signature cherry name. This oil averages between 50-70% THC and contains a high amount of cannabinoids and terpenes giving it a strong flavor with high medicinal value. Cherry oil is also known as RSO or Rick Simpson Oil but there is a wide range of different “cherry” oils one can produce depending on the filtration and starting material. I like cherry oil for vaping, placing under the tongue or on top of a bowl of weed. This product is amazing! Containing over 93% THC this product is very potent. If you like high THC products then this product is for you! THC Distillate is one of my favourite cannabis products. It's strong and relaxes your body when you're in pain. This product helps with depression, pain, chron's, cancer, injury, IBS, appetite loss and more. The THC distillation process is split into two parts. On the first run you remove the Terpenes (which can be reintroduced to the THC distillate) from the cannabinoids at lower temperatures (they have a lower boiling point). On the second run, you removes the lipids, impurities and solvents, which leaves an odourless high value clear distillate (contains the THC, CBD and other cannabinoids). Basically, the cannabinoids present depends entirely on the strain you have chosen.. The wiped film evaporator creates a distillate that can produce a fine oil used in vape cartridges, tinctures or edibles. I found it really nice in a vape or on top of some bud in a bong. Honey oil is a more refined version of cherry oil with THC of 75-85%. It can also be produced from isopropanol with a winterization process and more filtration. 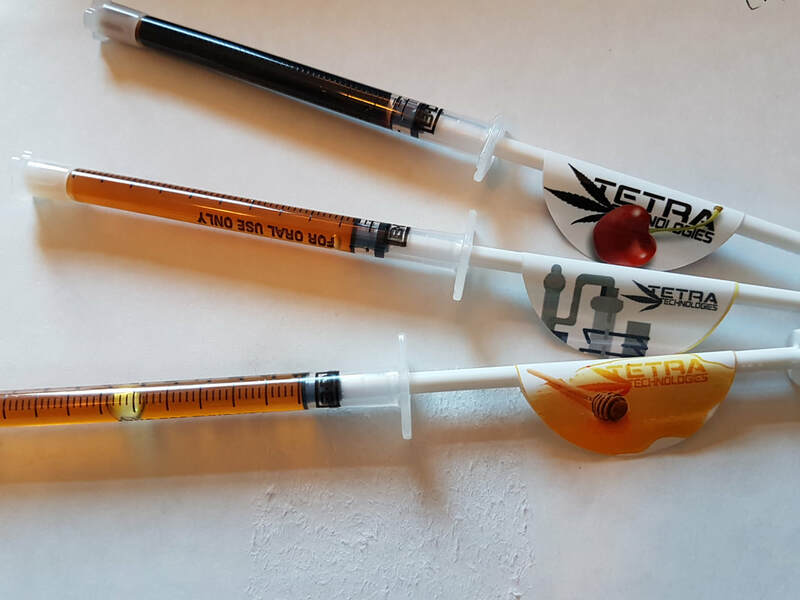 These cannabis oils can be smoked, dabbed or consumed orally. They can also be diluted with a carrier oil and be used directly on the skin as a topical ointment, applied onto foods, or put in gel caps. I love honey oil! I like it best on top of some bud in a bong but this product can be used many ways.